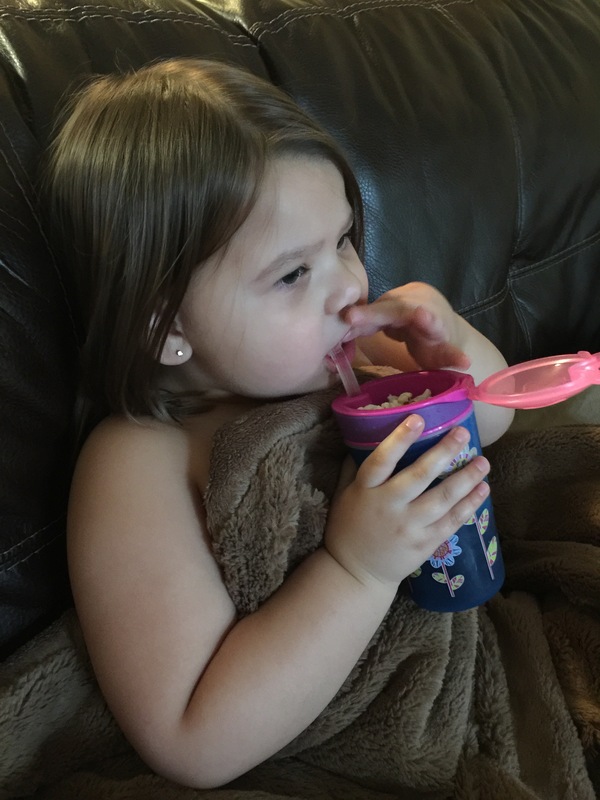 *This post is part of the NUBY parent blogger campaign. All opinions are my own. We had a pretty mild winter here in central Minnesota. What little snow we got seemed to get never seemed to stick around. We didn’t have any BIG snowstorms and it seemed to end pretty early. Now that its April it seems like when it rains it RAINS. We even had a thunderstorm last week. We are making the most of it though by taking walks in the rain and splashing in #allthepuddles. 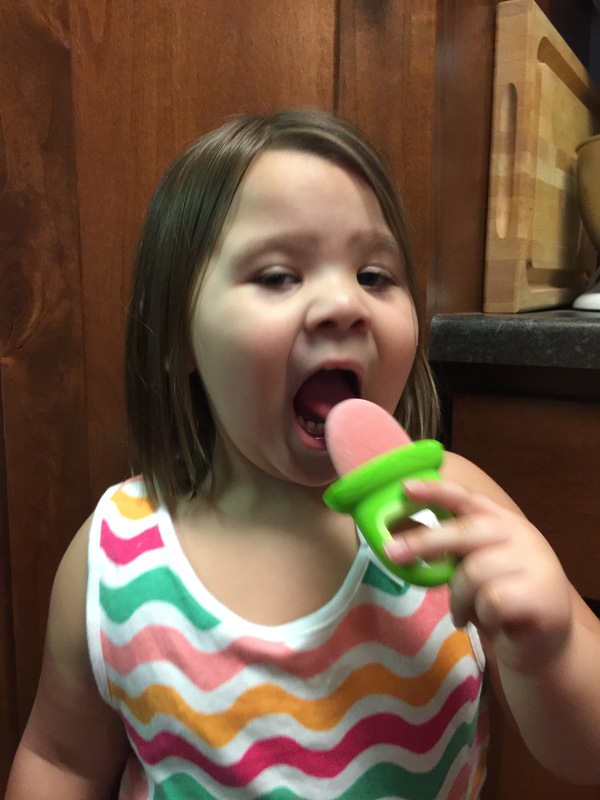 Since rain means “Spring”, we have been busy making fun popsicles in our NUBY Garden Fresh Fruitsicle Molds. I love these molds because the handle is prefect for tiny hands and the serving size is just enough for little tummy. Add all ingredients into a blender and blend until smooth. Transfer into Nuby Garden Fresh Fruitsicle Tray and pop handles into place. Freeze for 4-6 hours until solid (I left ours in overnight). When ready to enjoy, run white bottom mold under warm water for about 30 seconds to remove popsicle from the mold. Serve right away and enjoy! Place all ingredients into blender and blend until smooth. Add juice a little at a time to combine it. Once the mixture is smooth, transfer to the Nuby Garden Fresh Fruitsicle Tray and freeze 4-6 hours until solid. 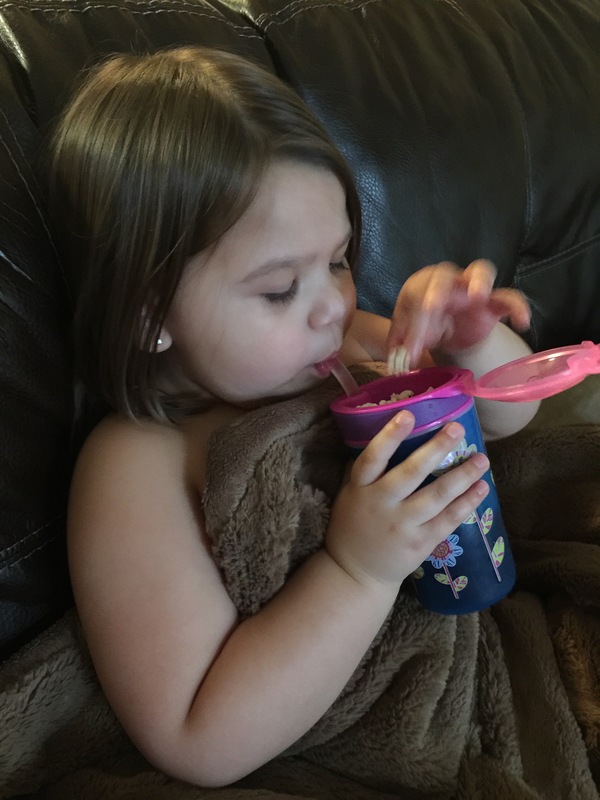 Brylee’s also loving her Nuby Sip and Snack cup. 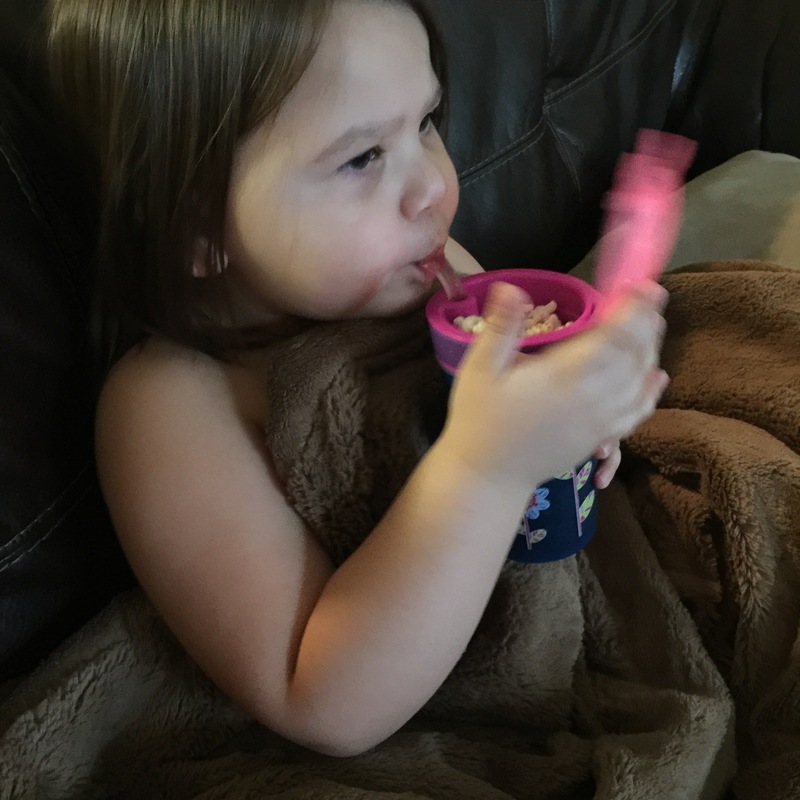 She loves using it whenever we have Family Movie Night because it keeps her popcorn and drink easily accessible. I love it because she can open and close the cover on the snack part so it doesn’t spill everywhere. The cup is also leak proof and I don’t have to worry about spilled beverages all over the couch and floor. 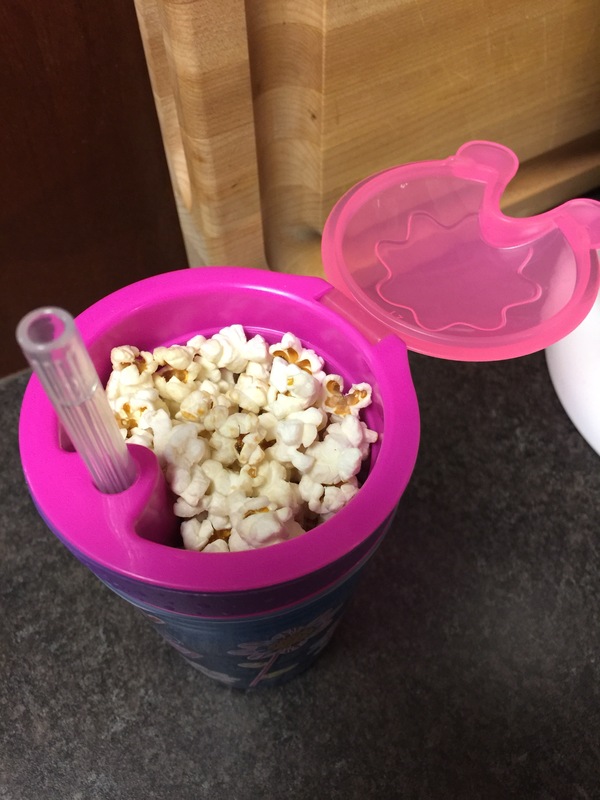 These cups are also perfect for road trips in the car and snacks at the park. There is only one container so I don’t have to remember 2341234123 separate containers. 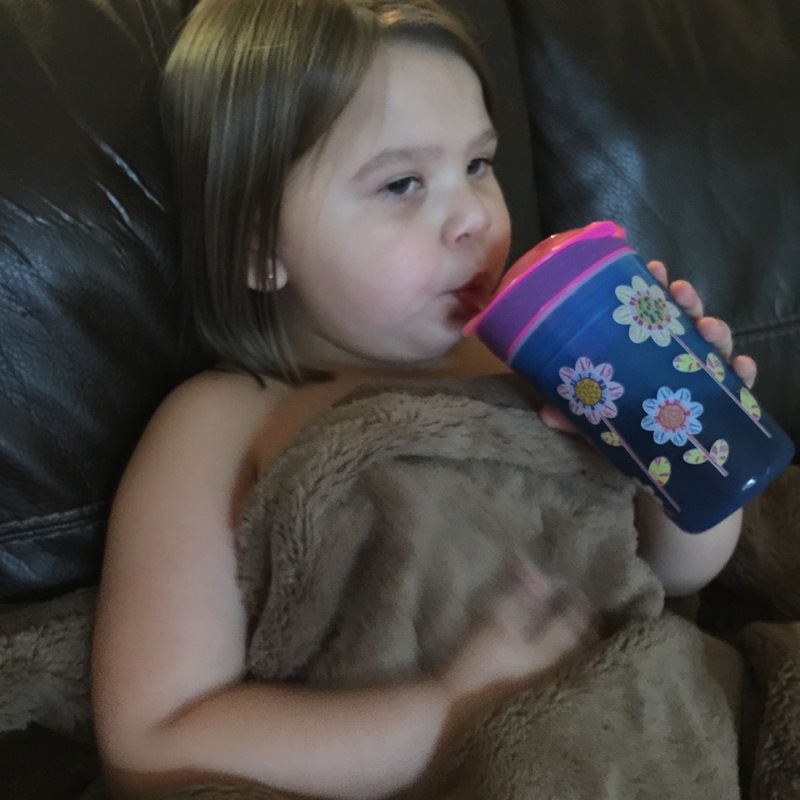 This is currently Brylee’s favorite cup. 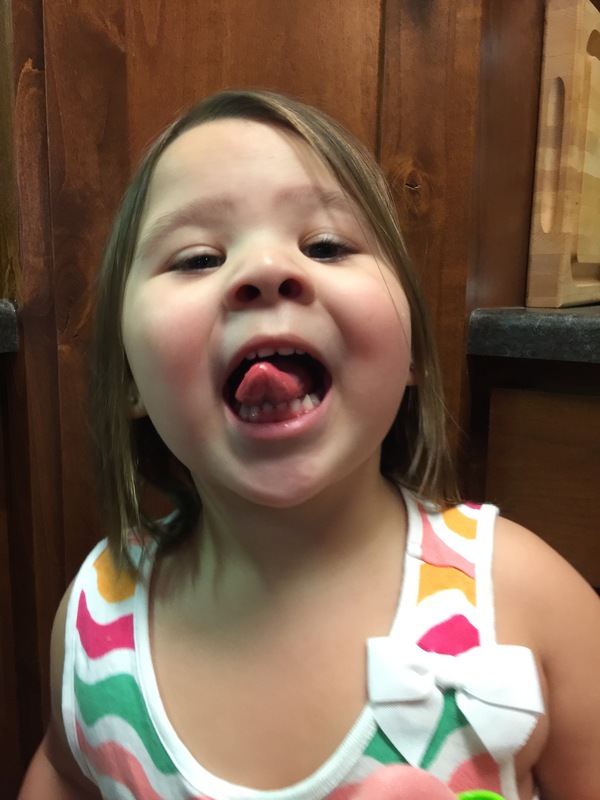 She asks for it all the time. We need one for every day of the week! 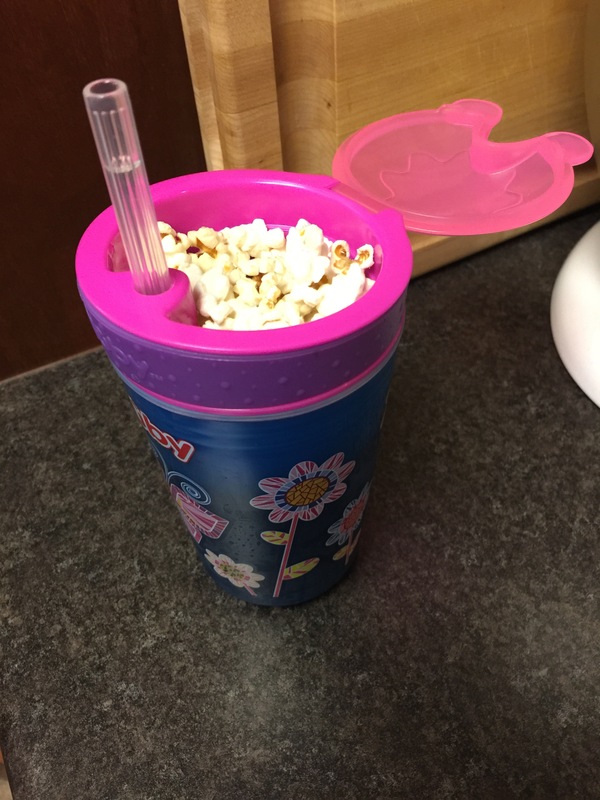 I love that this cup disassemble’s completely and is dishwasher safe!